SEE, DEAR FRIENDS, the glory of our Lord Jesus Christ even in his state of humiliation! He is born of lowly parents, laid in a manger, and wrapped in swaddling bands; but, lo! the principalities and powers in the heavenly places are in commotion. First, one angel descends to proclaim the advent of the new-born King and suddenly there is with him a multitude of the heavenly host singing glory unto God. Nor was the commotion confined to the spirits above; for in the heavens which overhang this card, there is a stir. A star is deputed on behalf of all the stars, as if he were the envoy and plenipotentiary of all worlds to represent them before their King. 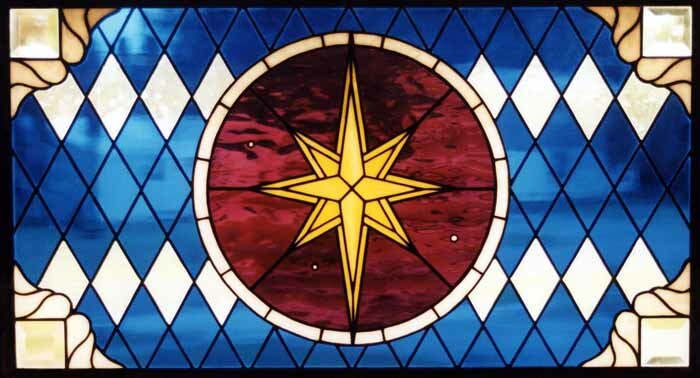 This star is put in commission to wait upon the Lord, to be his herald to men afar off, his usher to conduct them to his presence, and his body-guard to sentinel his cradle. Earth, too, is stirred. Shepherds have come to pay the homage of simple-minded ones: with all love and joy they bow before the mysterious child; and after them from afar come the choice and flower of their generation, the most studious minds of the age. Making a long and difficult journey, they too at last arrive, the representatives of the Gentiles. Lo! the kings of Seba and Sheba offer gifts—gold, frankincense, and myrrh. Wise men, the leaders of their peoples, bow down before him, and pay homage to the Son of God. Wherever Christ is he is honorable. “Unto you that believe he is honor.” In the day of small things, when the cause of God is denied entertainment, and is hidden away with things which are despised, it is still most glorious. Christ, though a child, is still King of kings; though among the oxen, he is still distinguished by his star.